In conjunction with the amazing girls at Faust PR, Home* recently started working with the Holt Group – luxury construction and development contractors with expertise in bespoke residential projects across London. With 15 years of experience behind them, Holt have completed a range of stunning projects, bringing together architects, interior designers, lighting consultants, landscape designers and more experts to create unforgettable statement homes. Particularly specialising in contemporary refurbishment, Holt have brought new life to many striking buildings, including a Victorian terraced house and an old Tea Wharf. Creating innovative designs and working with the finest materials, every Holt project is unique and finished to a dazzling standard. 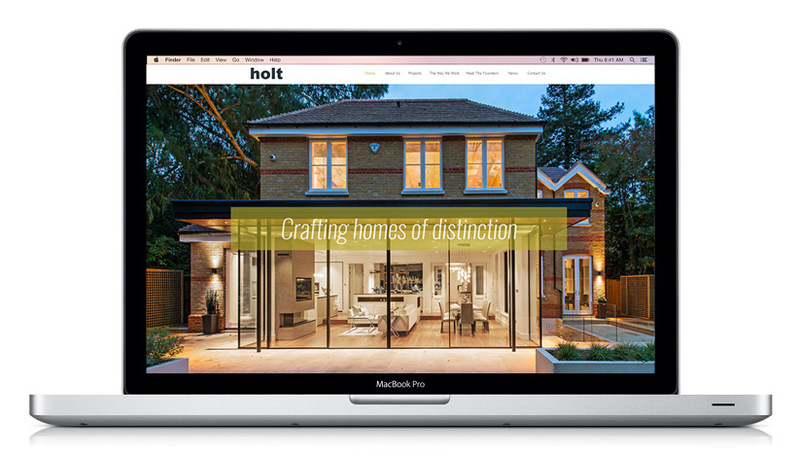 The first project for Holt was to provide a major overhaul of their corporate website which was looking dated and did little to display their portfolio of recent projects. Within five weeks Home* created a mobile-friendly and fully responsive website that was optimized for Google and at a price significantly less than the previous quotes they had received. The website has attracted a great deal of interest and played a major role in winning new business.